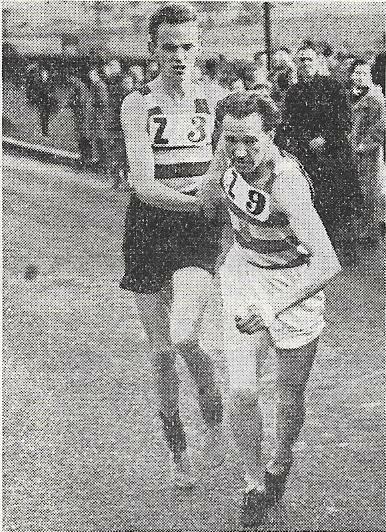 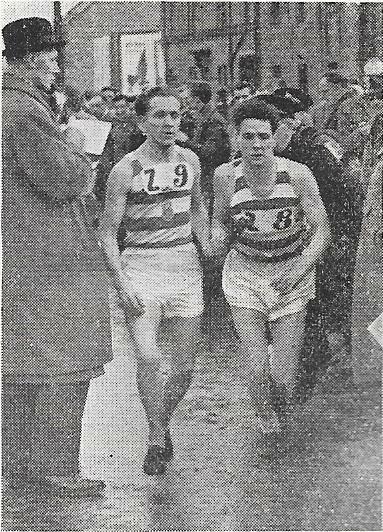 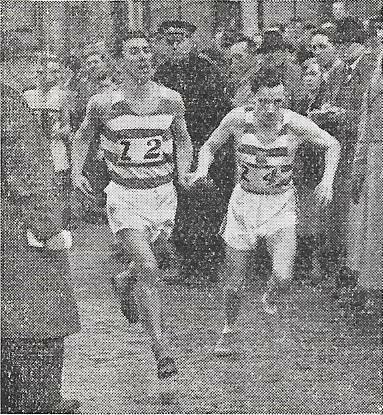 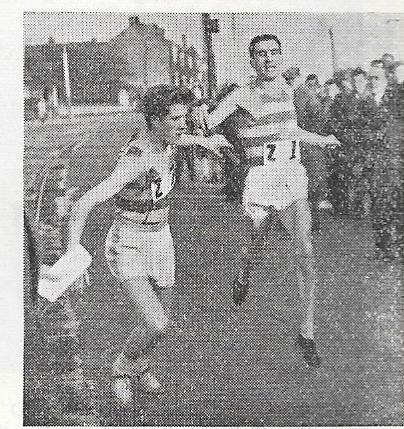 Shettleston Harriers won two Edinburgh to Glasgow races on the trot before Victoria Park took over to become the dominant force in the race for the 1950’s. 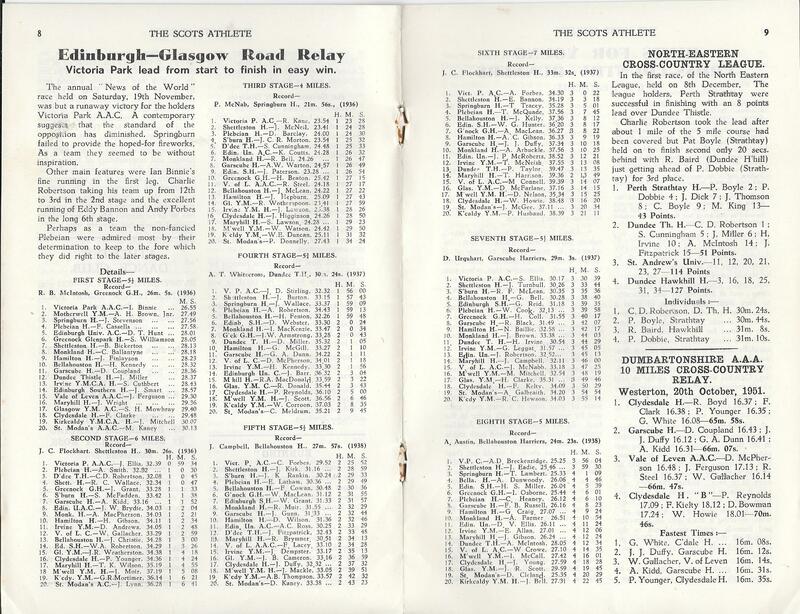 With seven wins in eight years plus one second and two thirds in a decade when Scottish club running was at a real high with VPAAC, Shettleston, Bellahouston and Edinburgh Southern all operating at a high level their feat in the eight-man relay – four man teams were the norm with six men required for the District and National championships – showing gnuined strength in depth. This was their first victory of many. 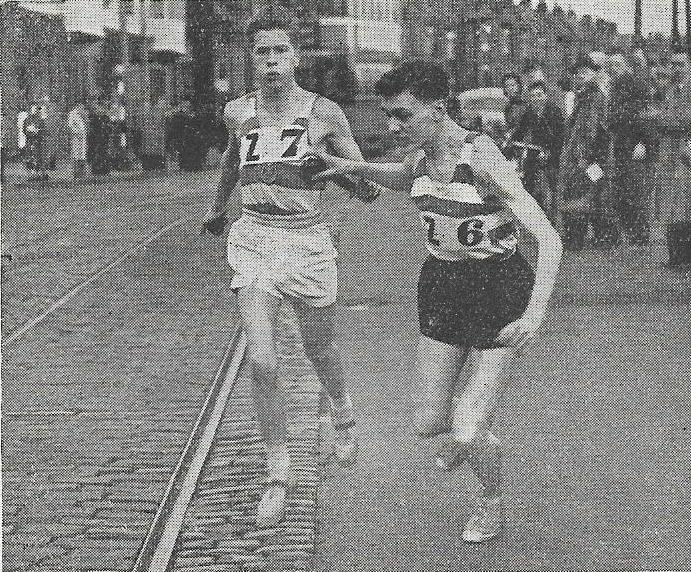 Ellis gives Alex Breckenridge a lead of over 3 minutes at the start of the last leg.